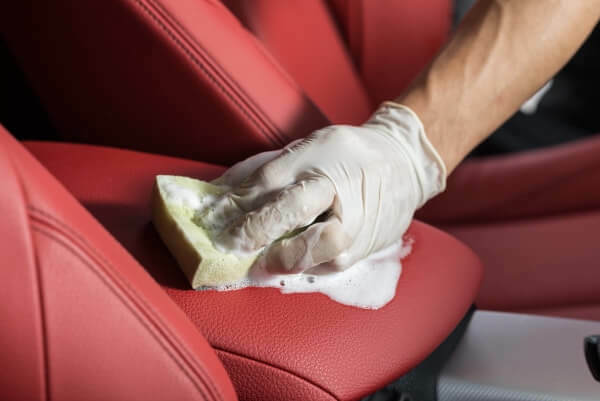 It’s true the interior of your vehicle is exposed to fewer natural elements than its exterior, but car upholstery cleaning is just as rewarding and important to keep it in good conditions. After all, if you love your car, you’ll take care of it on the inside too! 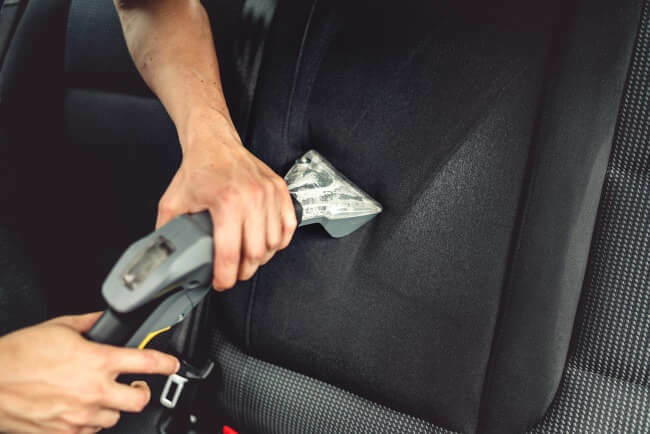 Our interior car detailing package includes am intensively thorough check-through that includes everything from your cup holders to your seat belts and beyond. We’ve included more details below for your convenience. As always, please include any specific requests and information in your call with us or the form you can submit to the right. Birmingham Auto Detail services are by appointment only to ensure maximum convenience for our customers. Please call in advance to secure an appointment at the most convenient time for you. We then use a PH balanced solution to treat any leather. Lastly, we apply premium interior dressing to all surfaces to protect it and to give it a richer, deeper tone. Sometimes it feels like carpets and upholstery were made to be stained. Nearly ever bodily fluid will leave a stain, as well juice, coffee, food, and a myriad of other substances. As a result, a lot of folks are driving around with a lot of stained carpet. Shampooing with the right cleaning product is a sure fire way to remove most stains and get your carpet and car upholstery as close to good as new as possible. Some people prefer not to use hot water extraction, saying it can hurt your carpet, but the truth of the matter is that it’s an extremely effective method of cleaning your car’s carpeting very thoroughly. If you’re someone who suffers from allergens and who doesn’t like mold (both my hands are up), then you should take advantage of this interior car washing service. Hot water extraction is graded by the IICRC, the Institute of Inspection Cleaning and Restoration Certification, and they only certify cleaning methods that meet the extremely high standards. It’s seriously great. It limits allergens, limits mold, kills bacteria, tells fungus to take a hike, and gives dust mites the eviction notice. It’s also eco-friendly. We omit the shampooing or hot water extraction portion of the cleaning for any customers who are shorter on time, and in that case, we do a thorough vacuuming of everything in place of the water based cleaning. All leather, whether it’s auto interiors, bags, or shoes is constantly exposed to things like heat, moisture, dirt, and so on. Leather in your car can be quite an investment, and while it can last a long time, it needs the right care. Using a PH balanced solution cleaner on leather ensures that nothing gets trapped in with the leather conditioning that will soon follow. After the cleaning is complete, a premium leather conditioner is applied to maximize the life and the luster of the leather. A good dressing, or conditioner, will enhance the appearance of your car’s interior surfaces by giving them a glossy look, and protect them from scratches and wear.